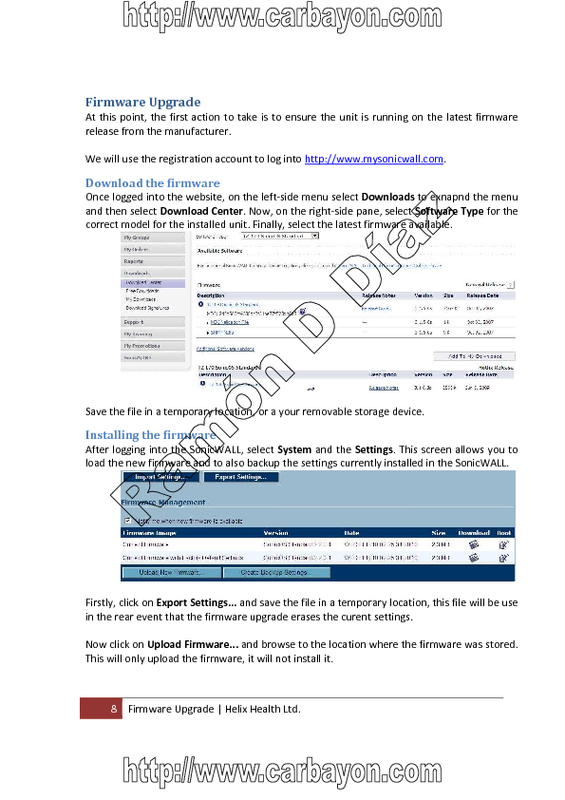 A private company requested 4 sesions to help their employees with the study of the course, the materials were taught in a classroom enviroment. 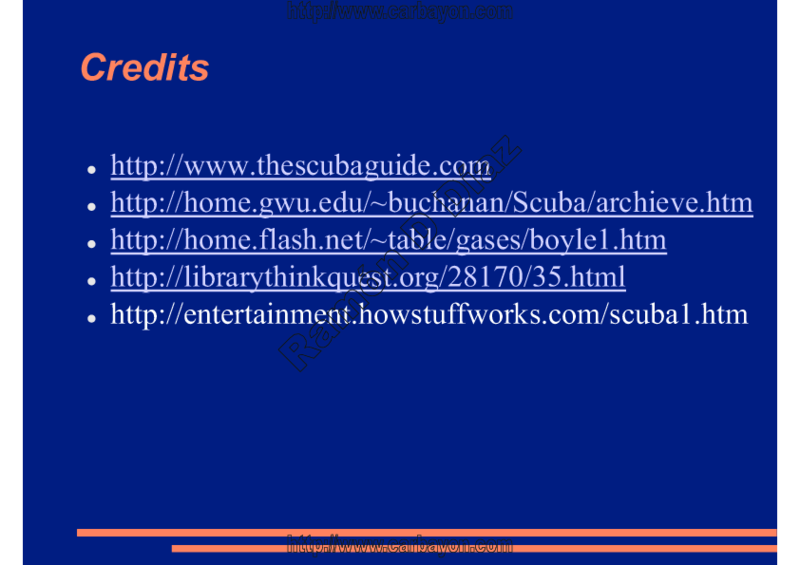 These materials were put together using the college's (CMIT) online course materials; the classroom time was used to review the online leactures. 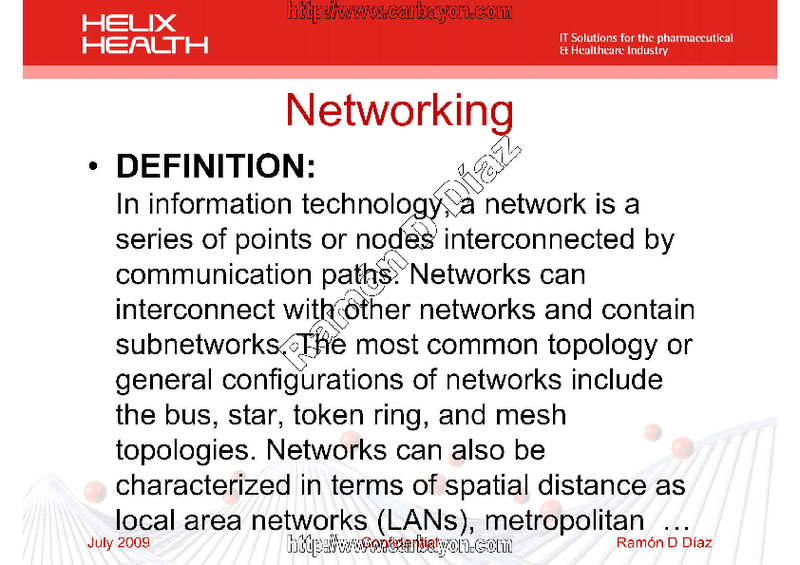 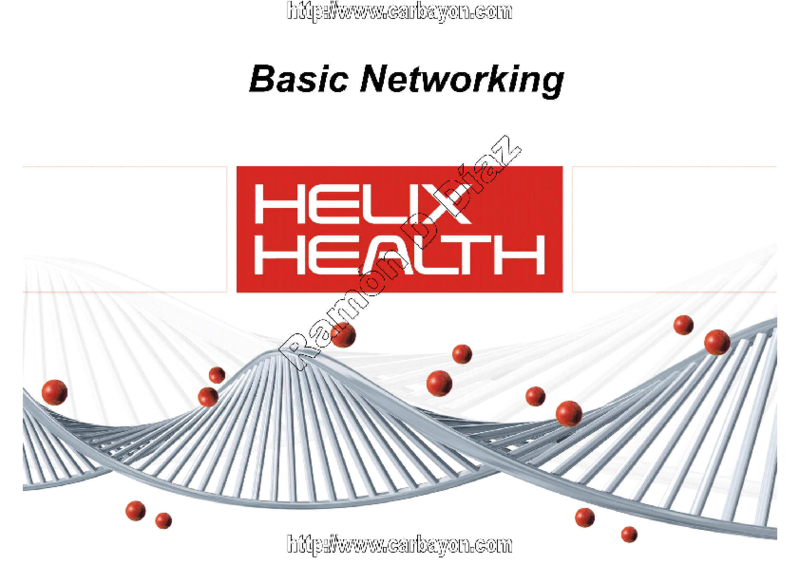 These documents were created by the request of my manager to give the Helix Health technicians a quick course on the basic principals of networking. 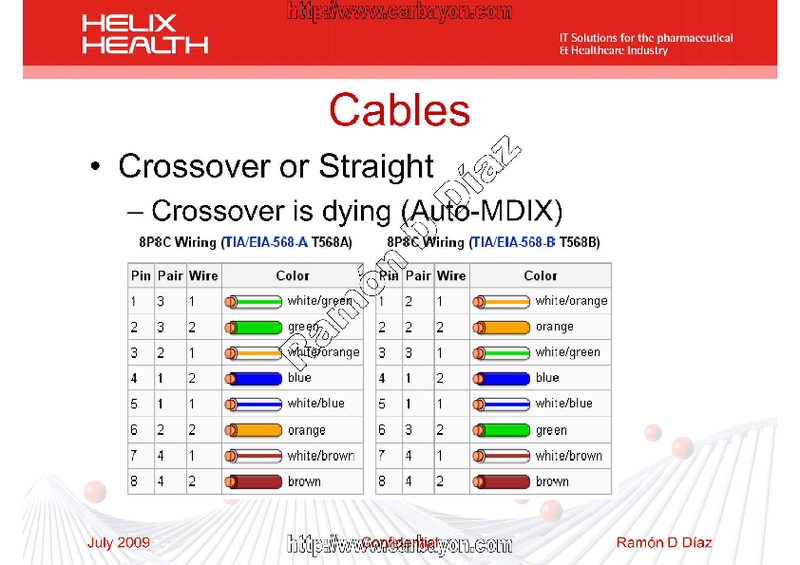 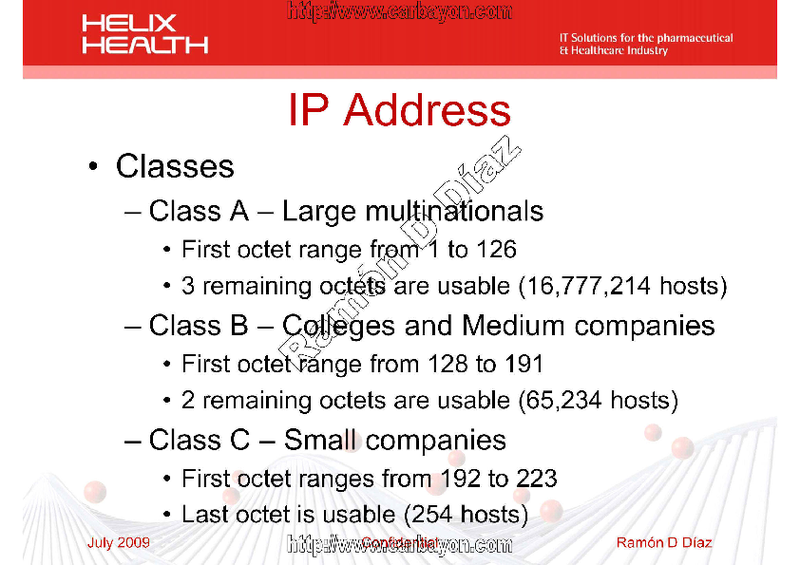 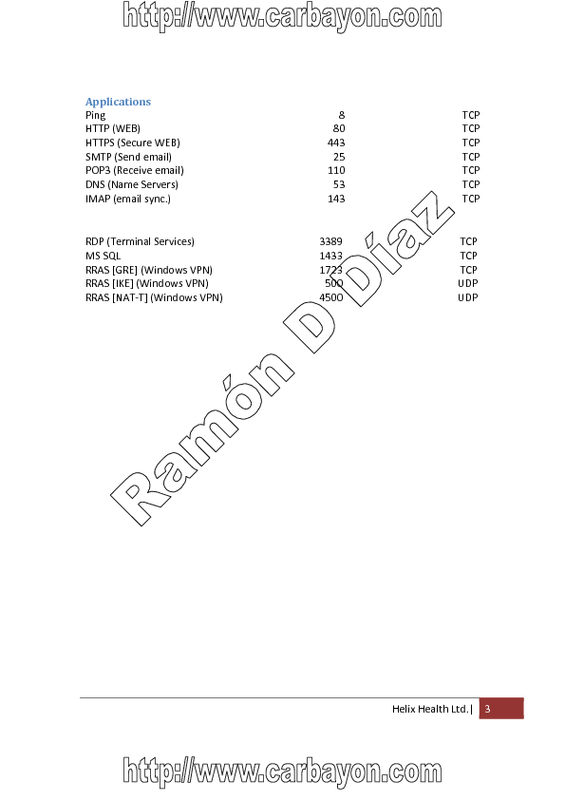 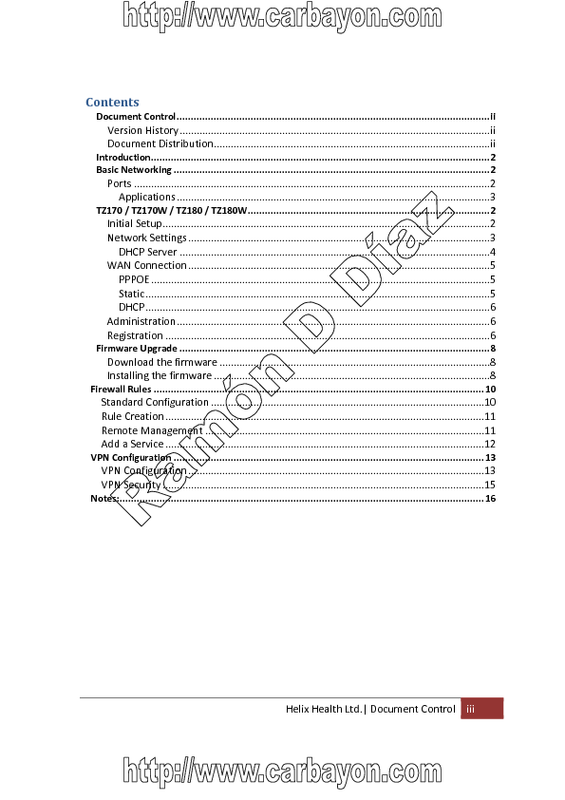 The 'course' covers Network Topologies, the 7 OSI layers, the different cable types, hardware, IP v4 Classes and ports. 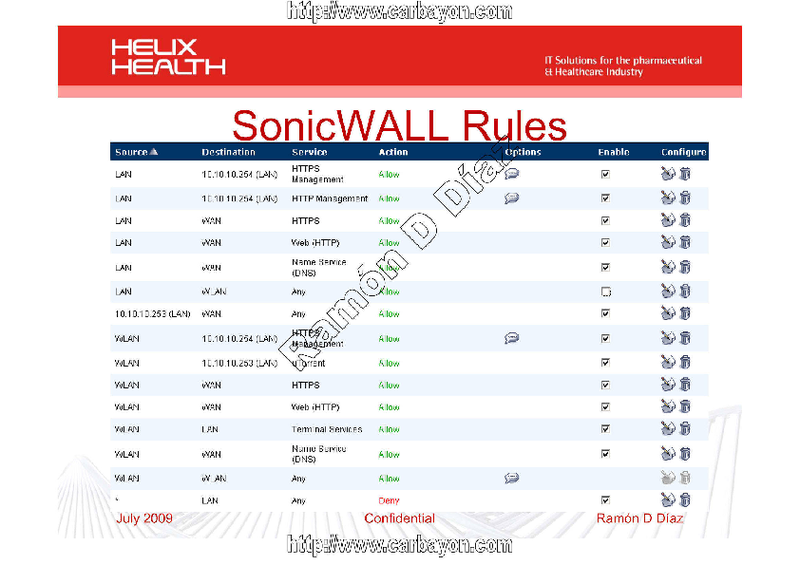 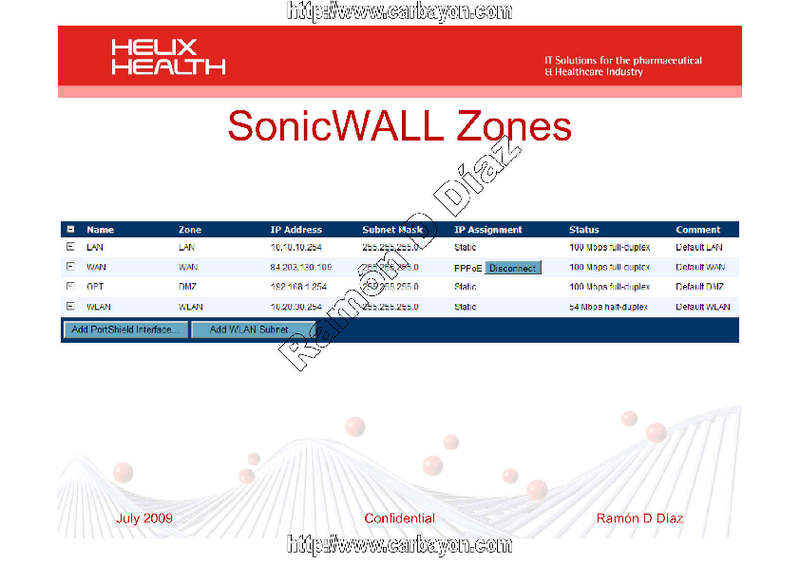 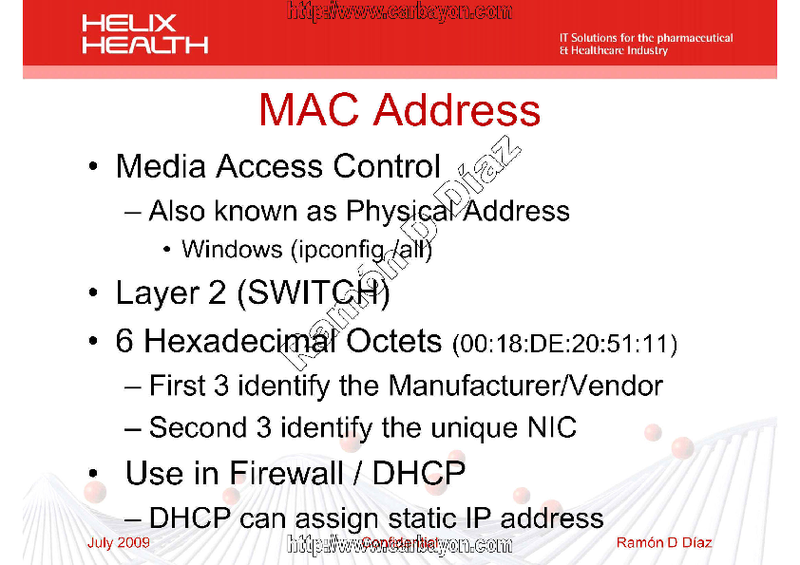 Helix Health uses SonicWALL units as firewalls on their customers, the units need to be configured and this material was created with the intention to help technicians with this process and the required steps. 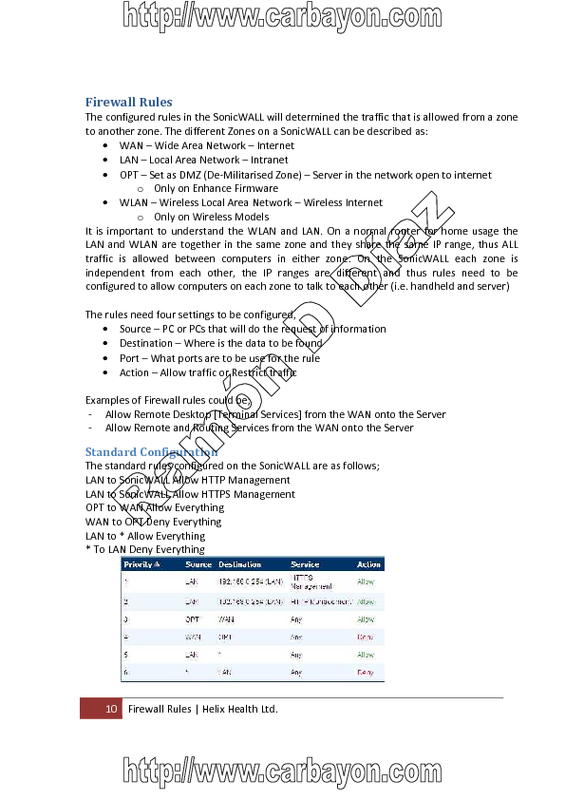 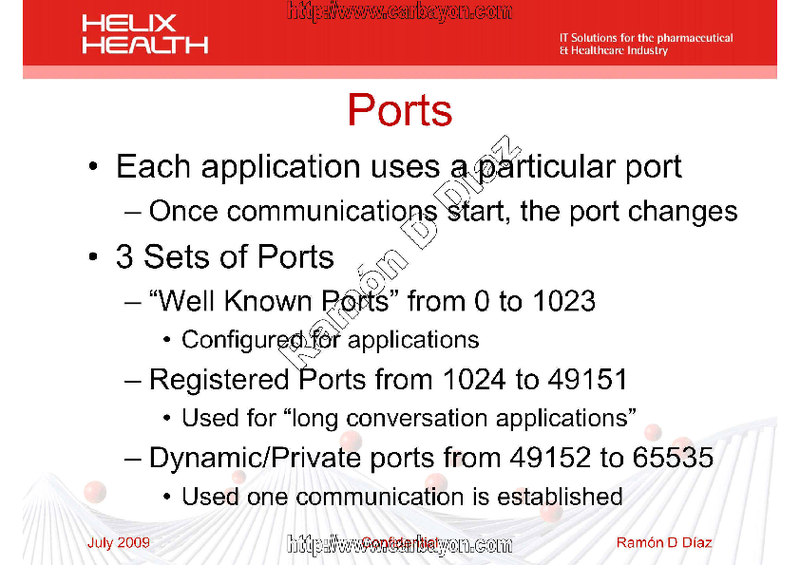 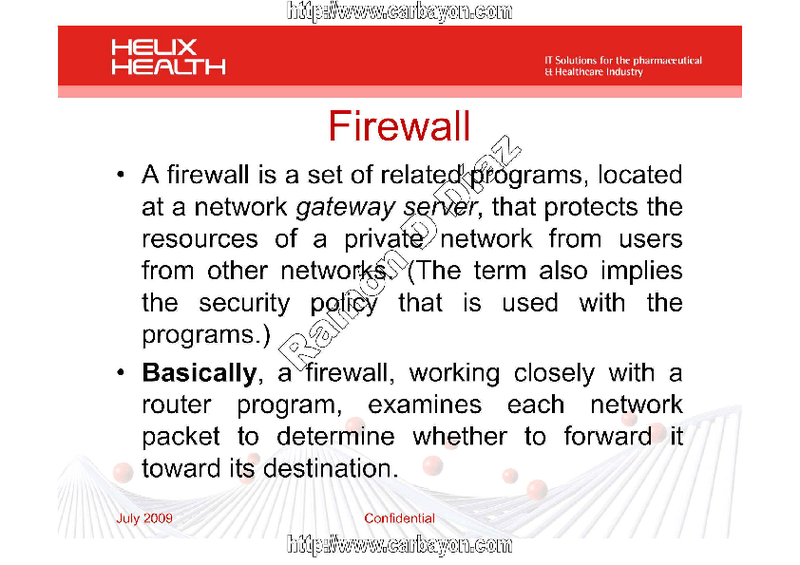 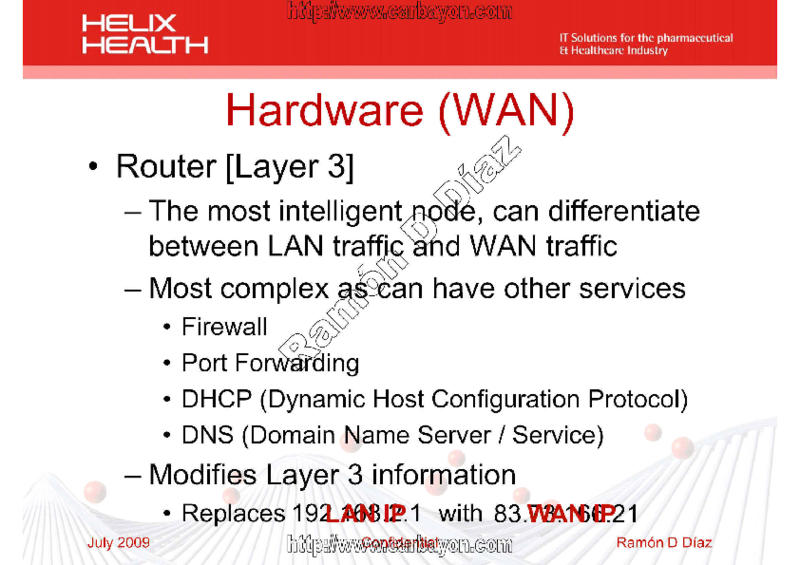 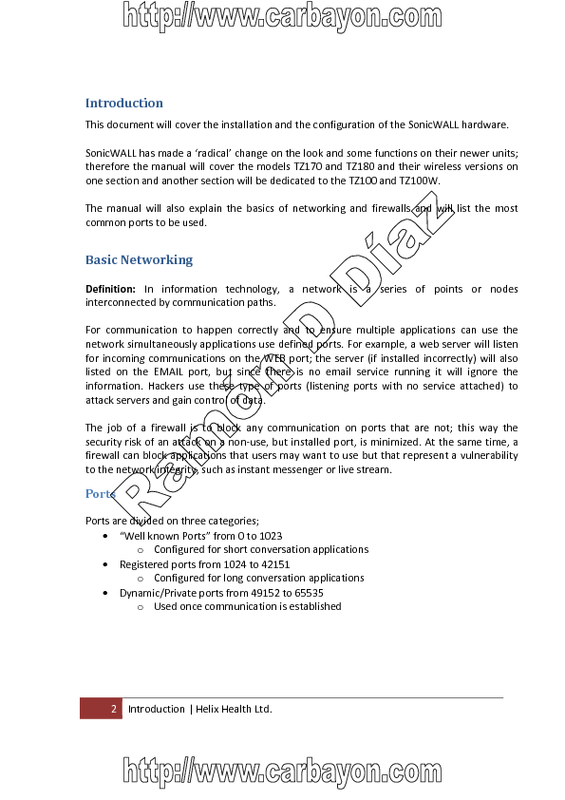 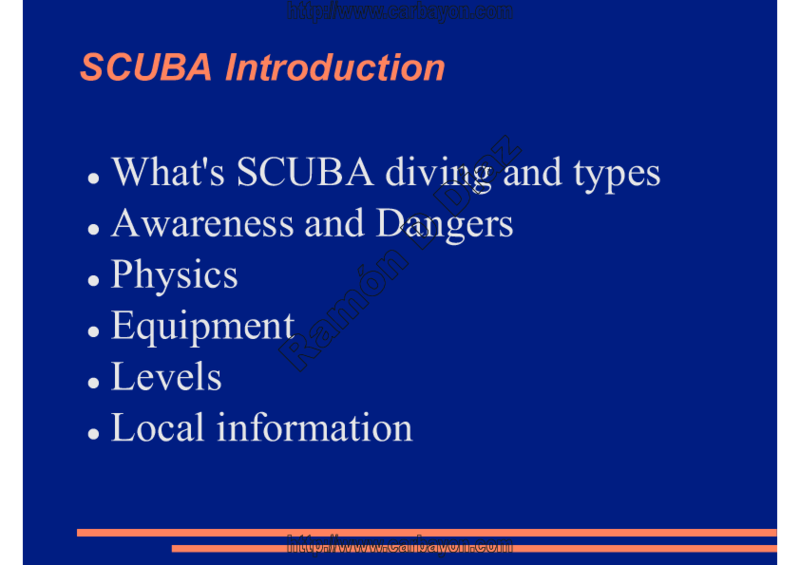 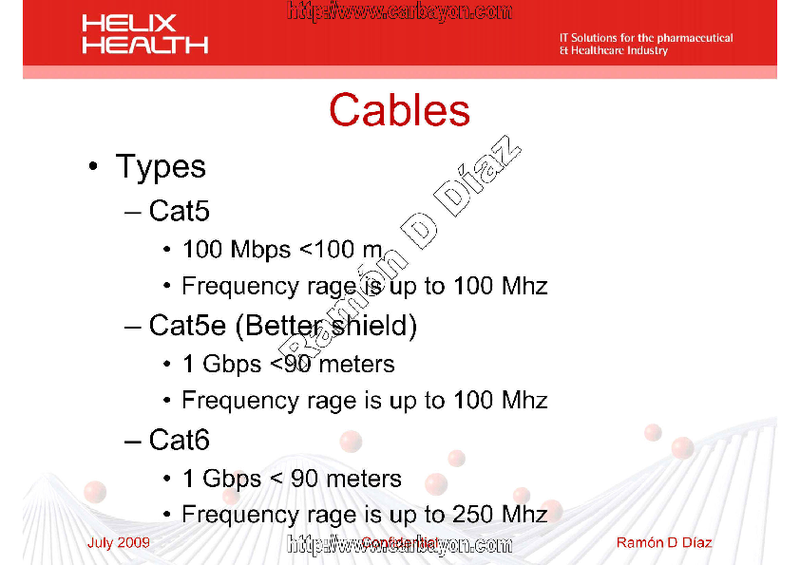 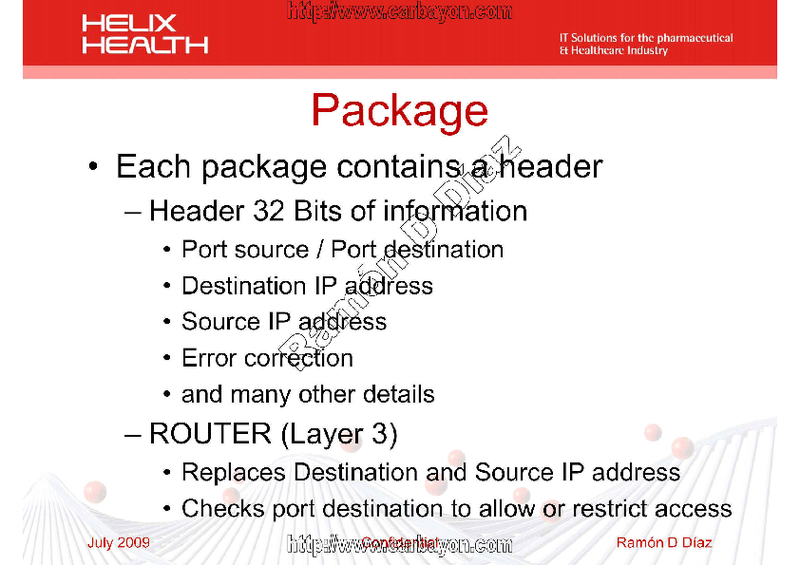 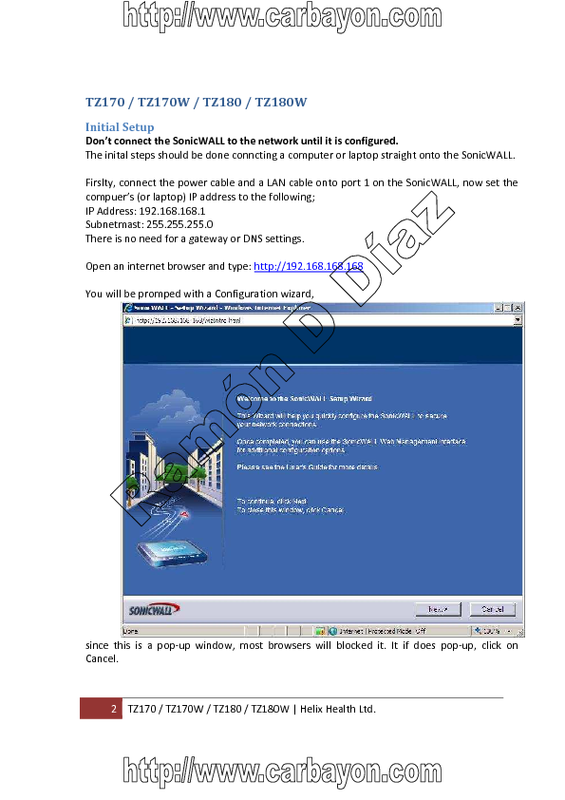 The PowerPoint documents cover the difference between the Basic and Enhance firmware versions; and introduces the technicians to the basics of firewall zones and rules and with VPN tunnels. 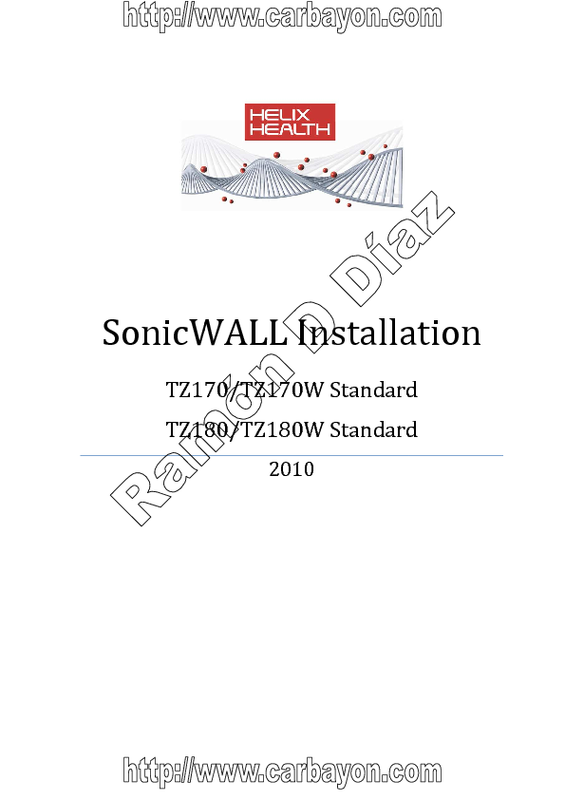 The word documents are divided on the old models (TZ170/180) and the newer model TZ100. 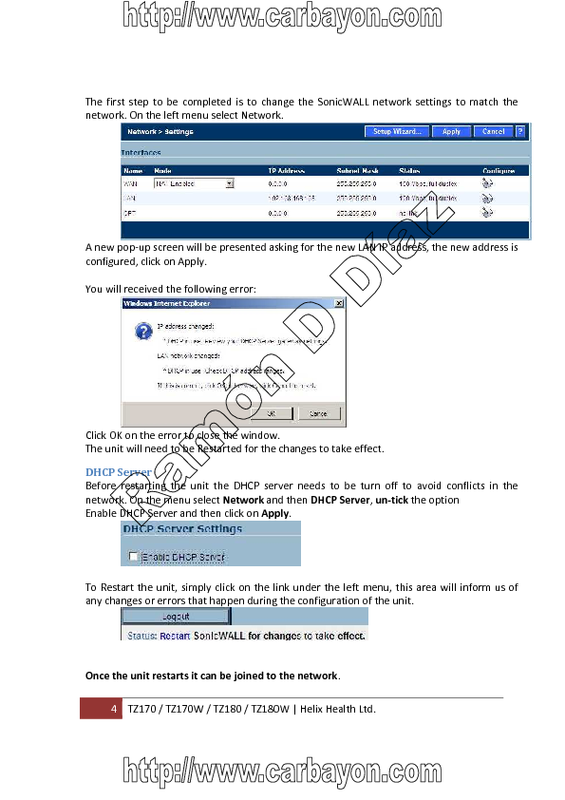 Even though the principals and most of the menus are the same, the actual 'feel and look' of the firmware is very different. 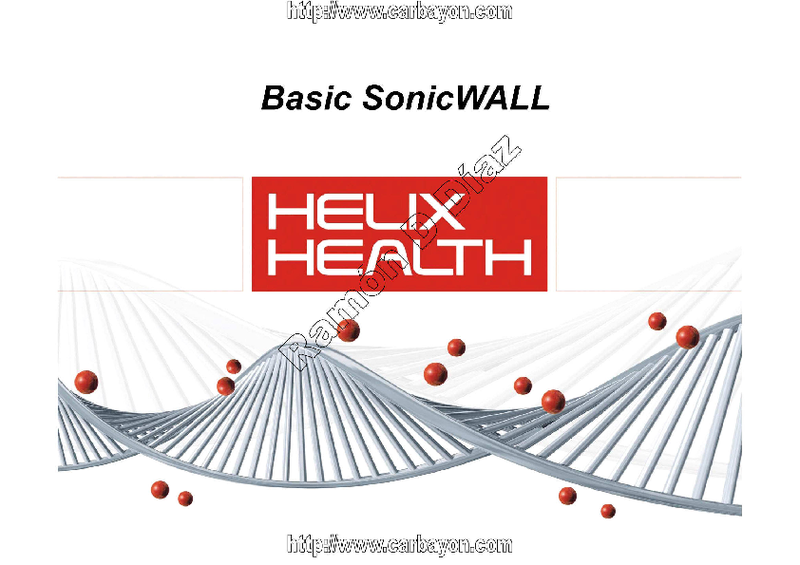 This is a step-by-step manual created while working at Helix Health. 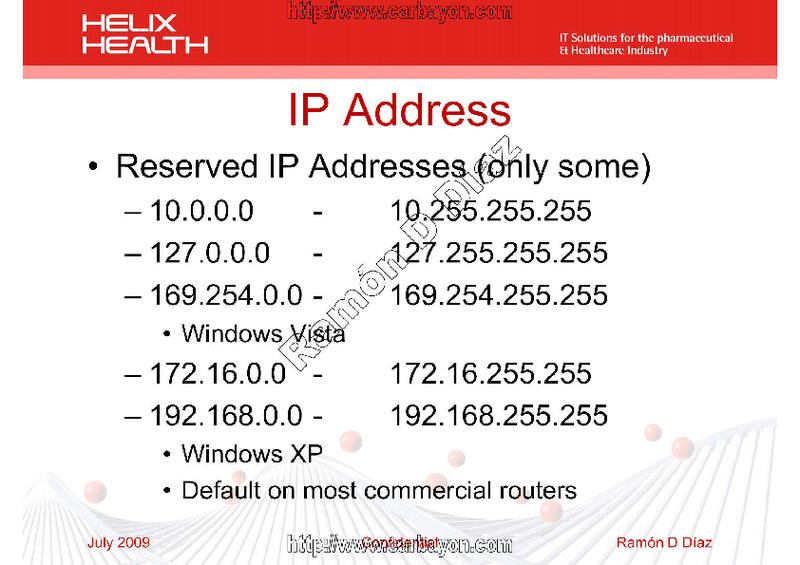 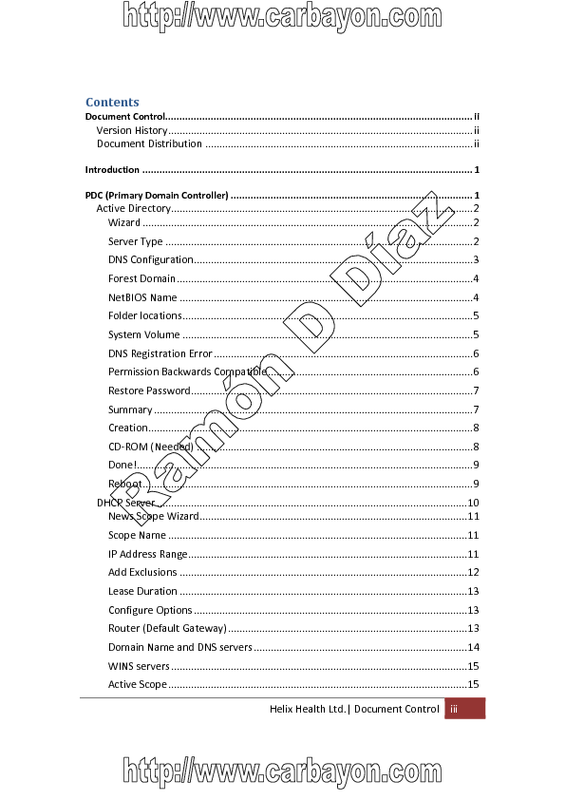 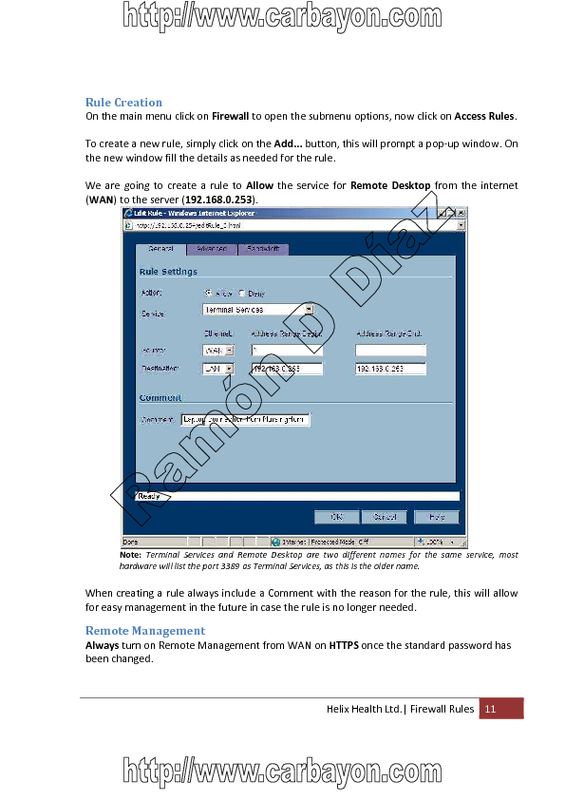 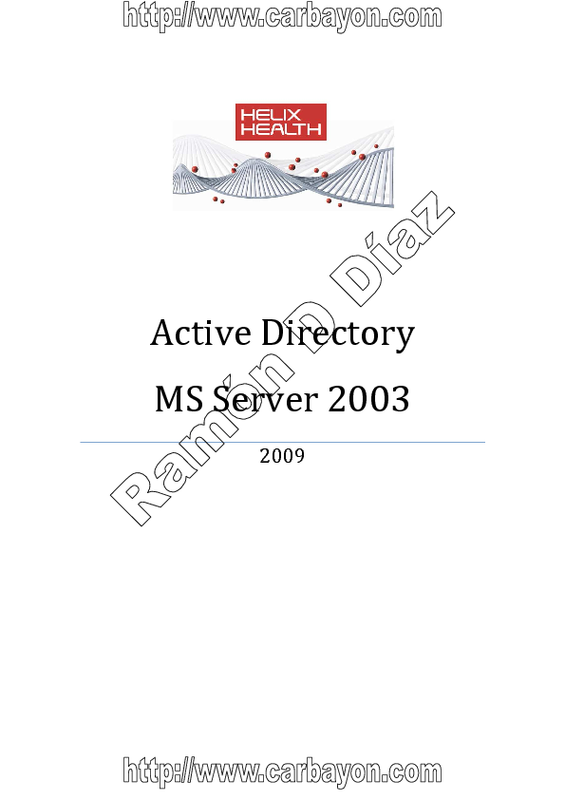 The manual uses Windows Server 2003 as the main platform (as this is what we were selling at the time) and explains the steps to create a domain, explaining each of the steps and showing the option to select. 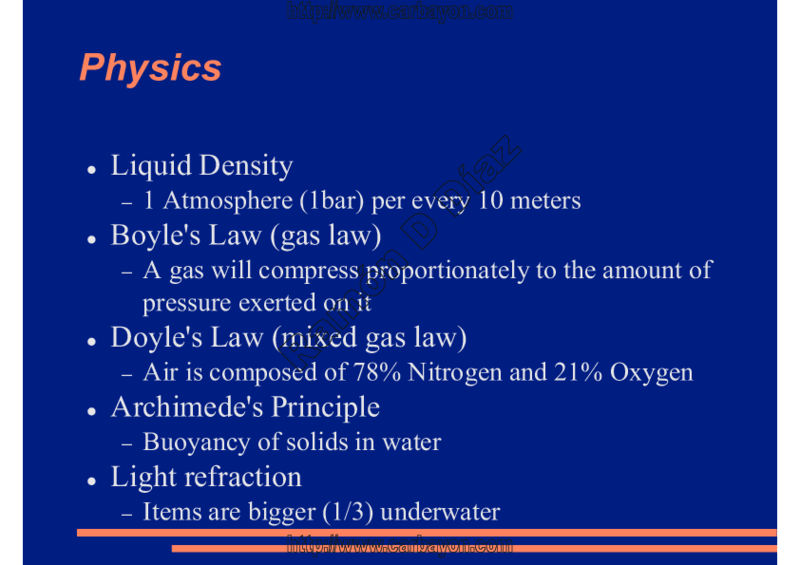 The manual was given to engineers after the attended a class and it was used during the lab exercieses. 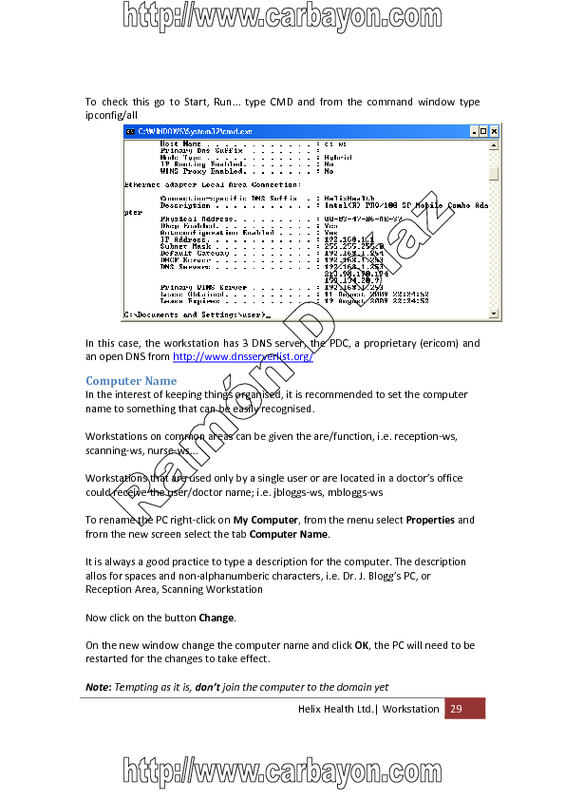 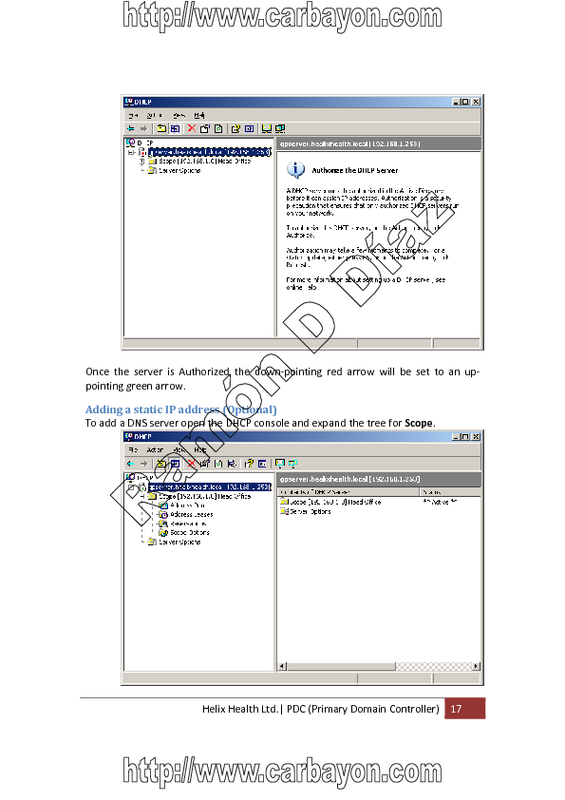 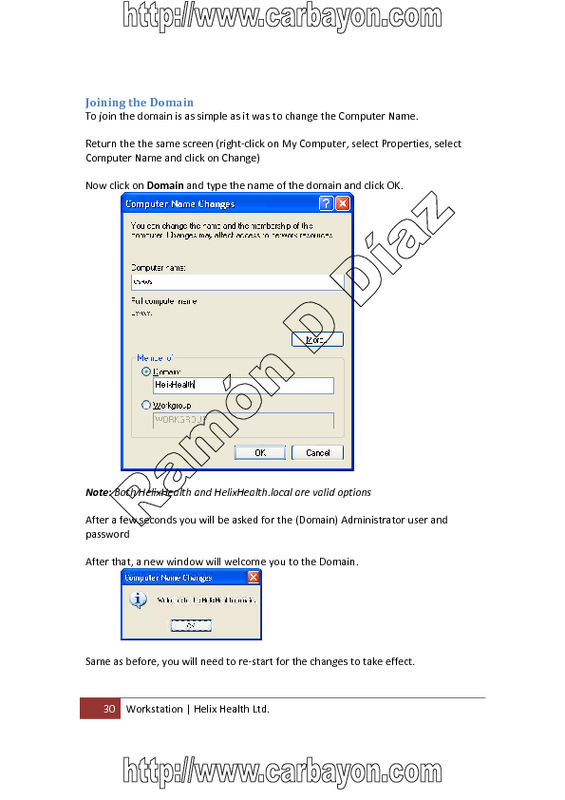 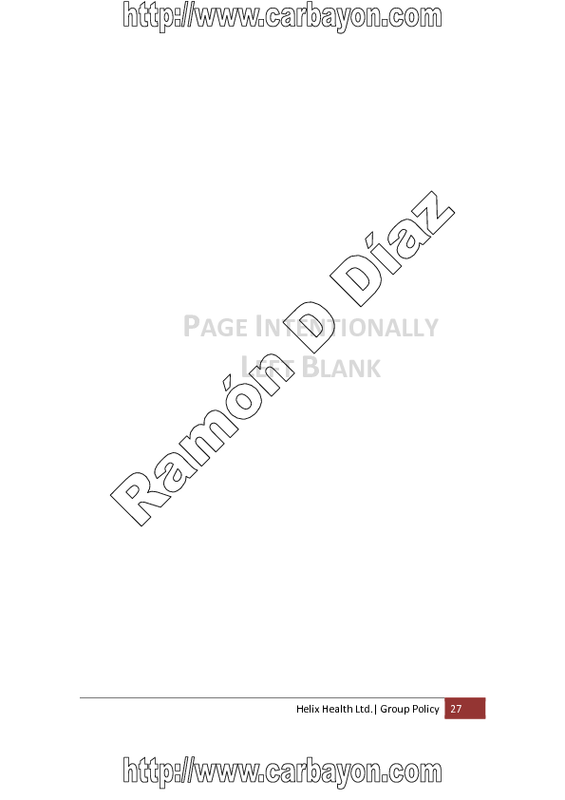 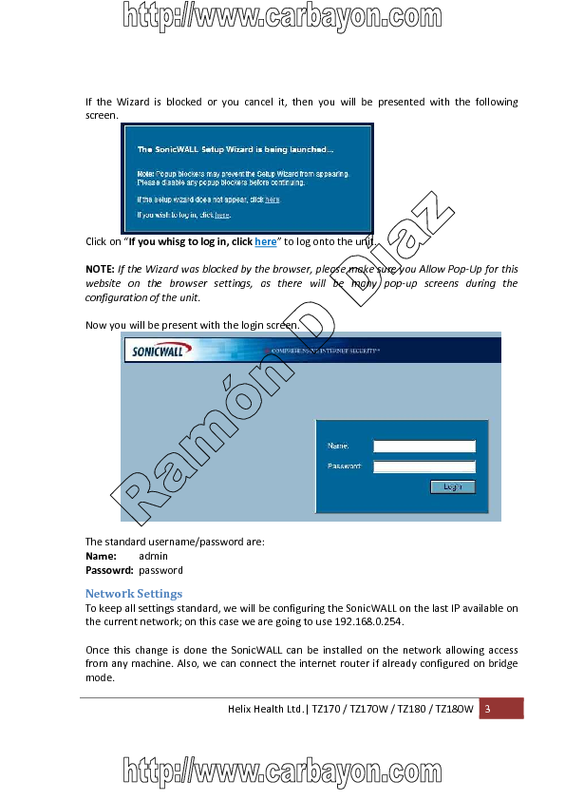 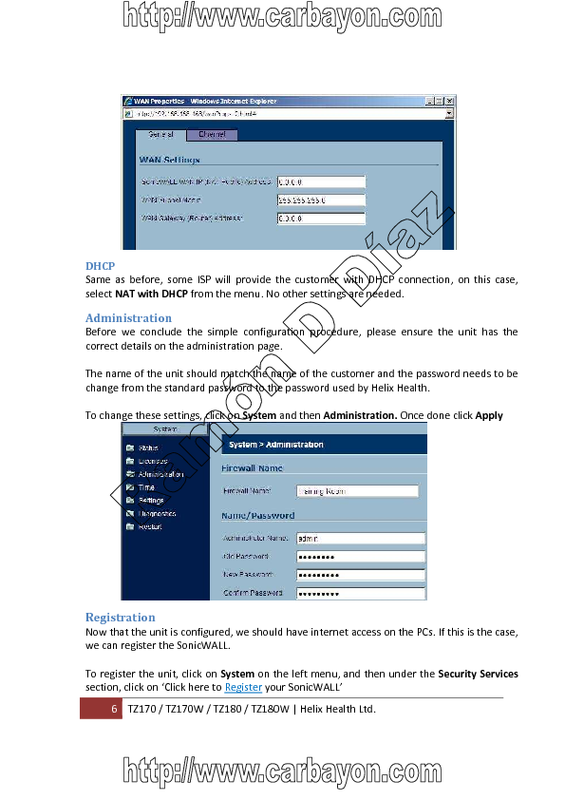 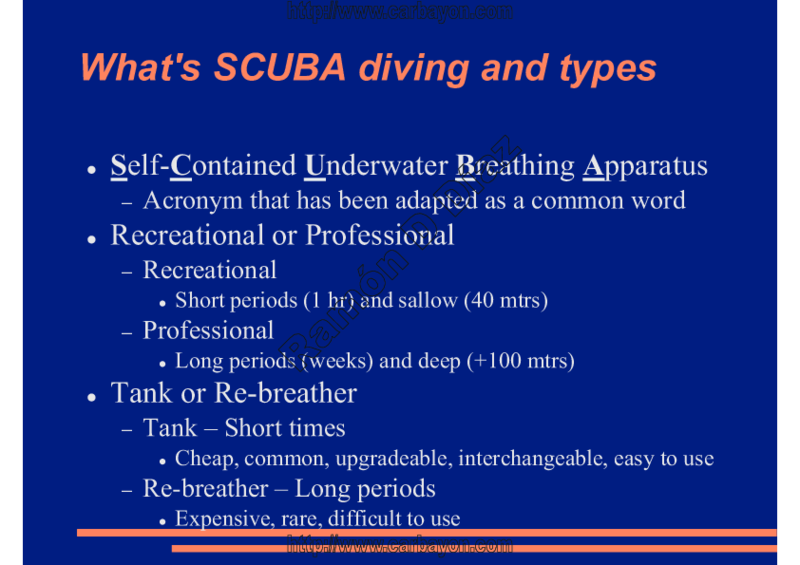 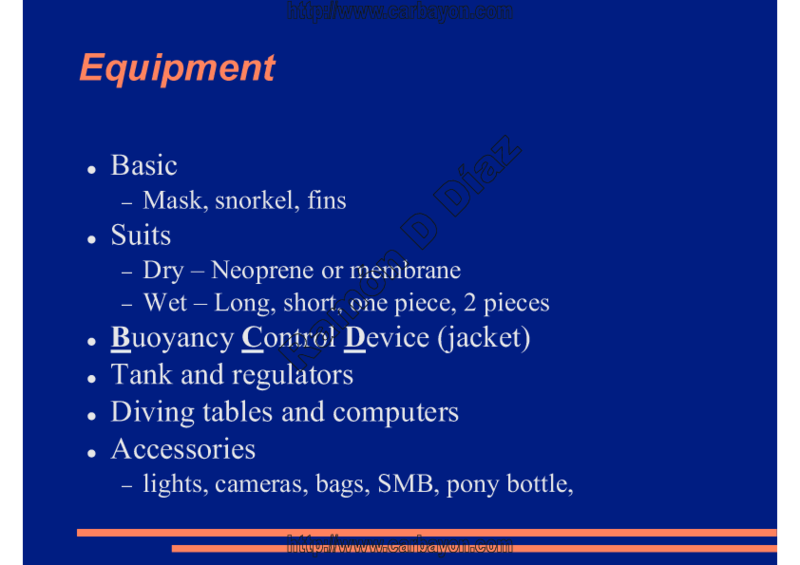 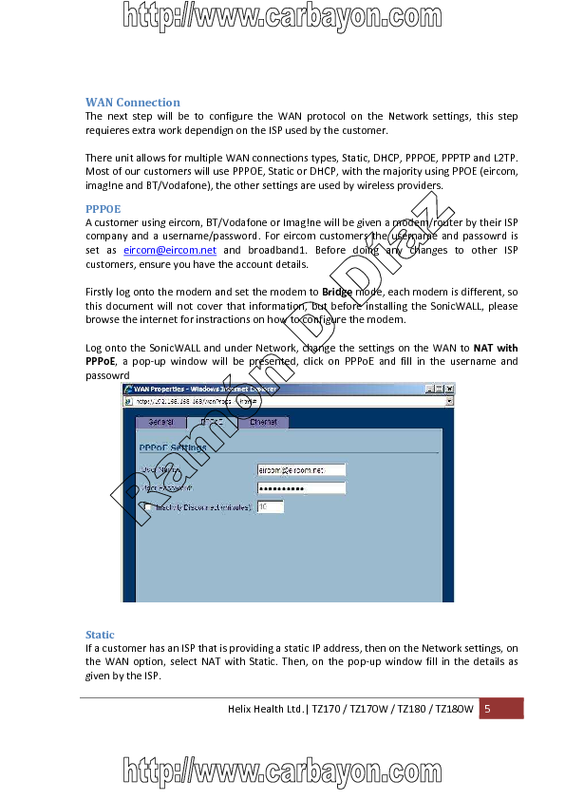 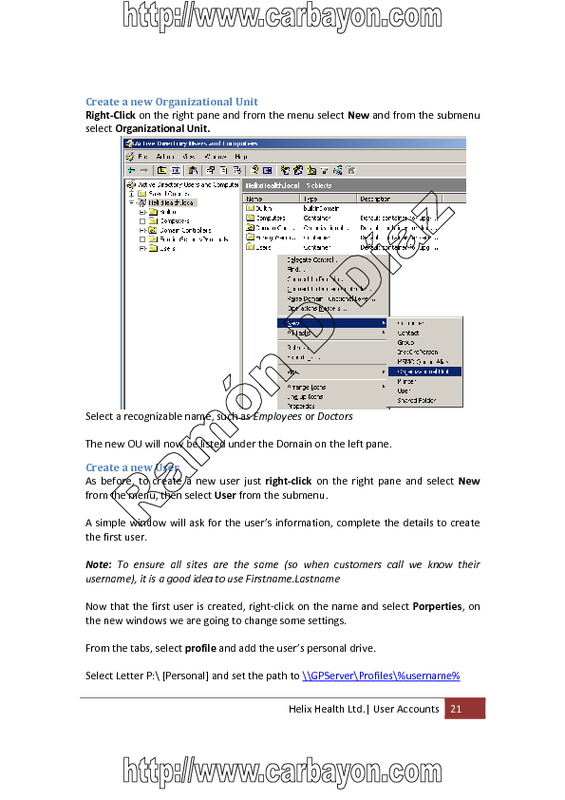 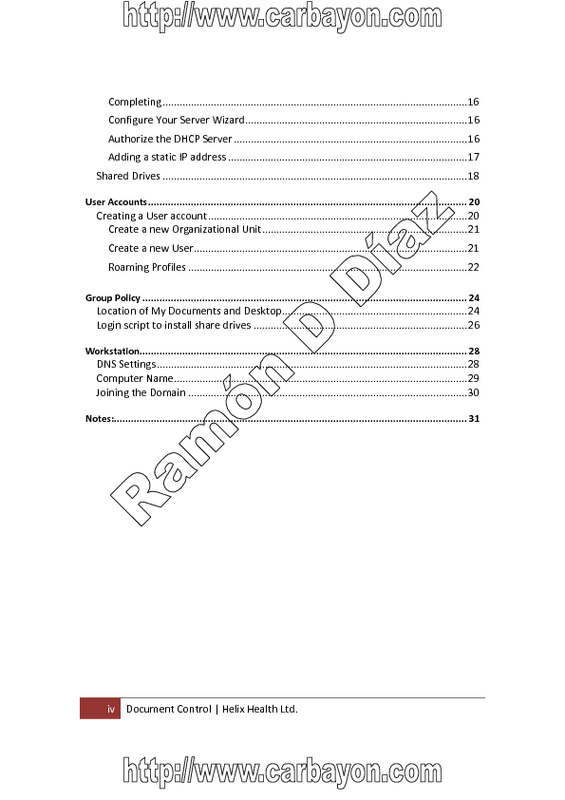 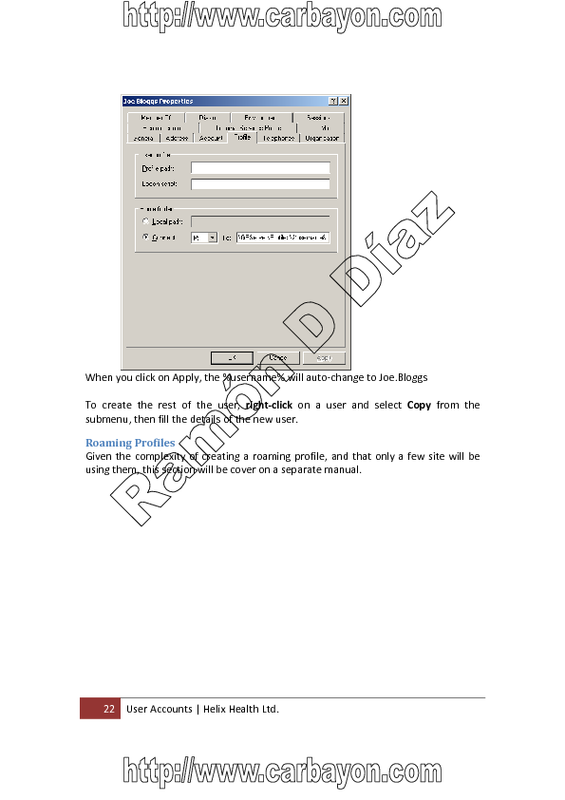 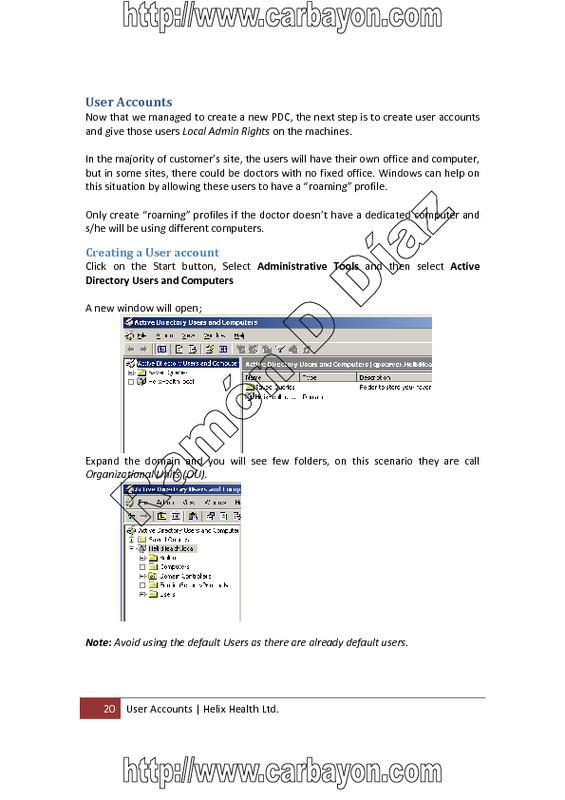 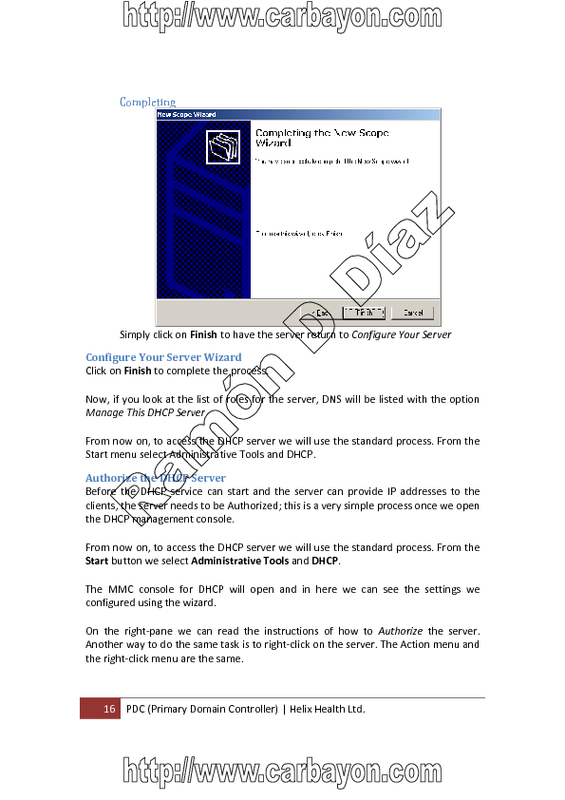 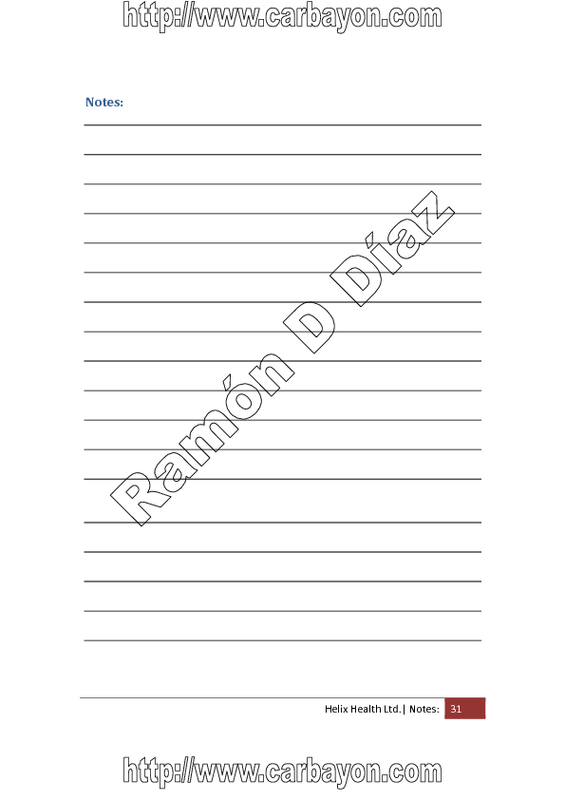 This document was created due to help the end-user on how to use the new system. 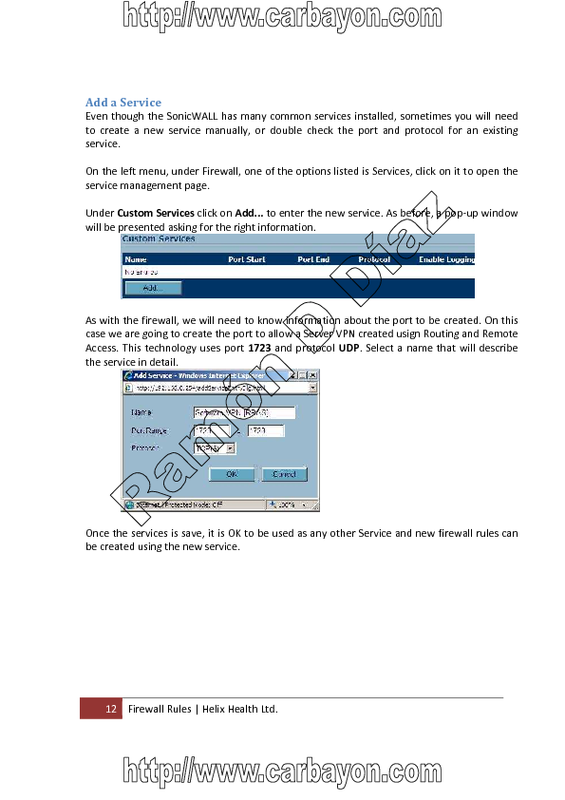 Most customers were upgraded from a simple Workgroup enviroment and they didn't know how to use the new network drives or how to change their password. 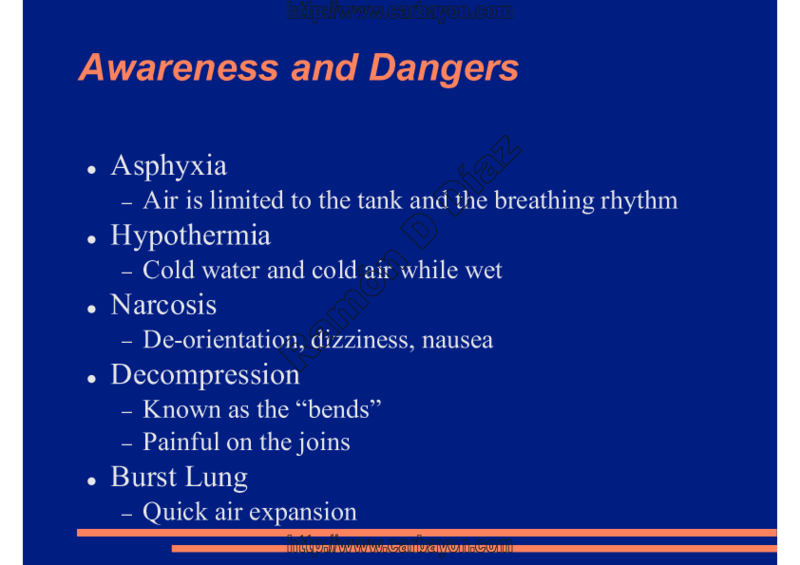 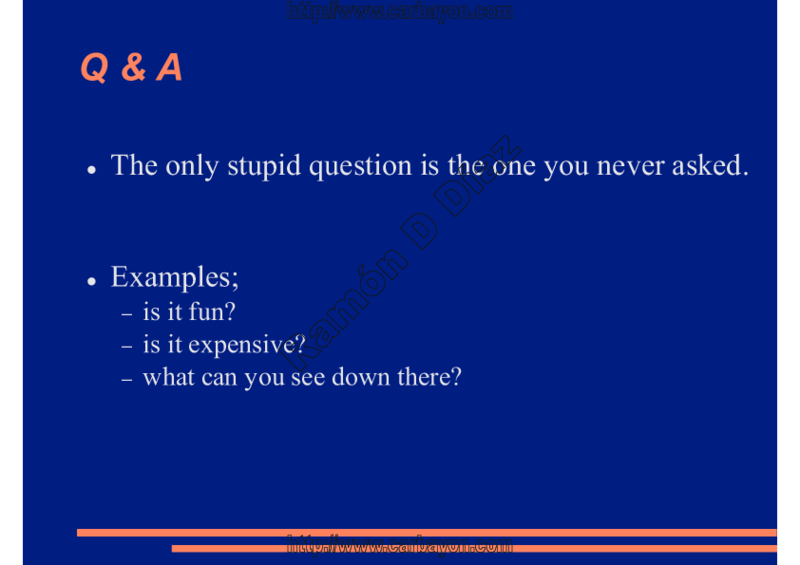 This presentation was put together for a job interview. 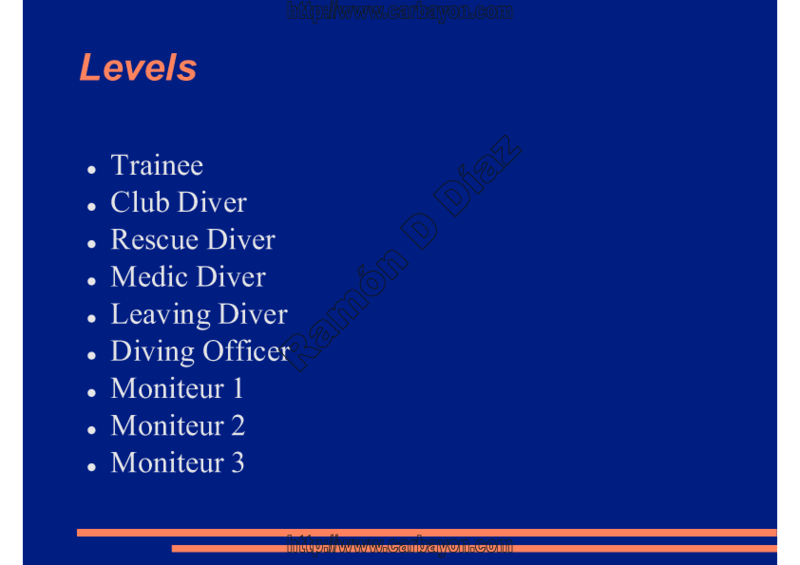 The job was for a role as a Technical Trainer and part of the interview process included doing a classroom presentation. 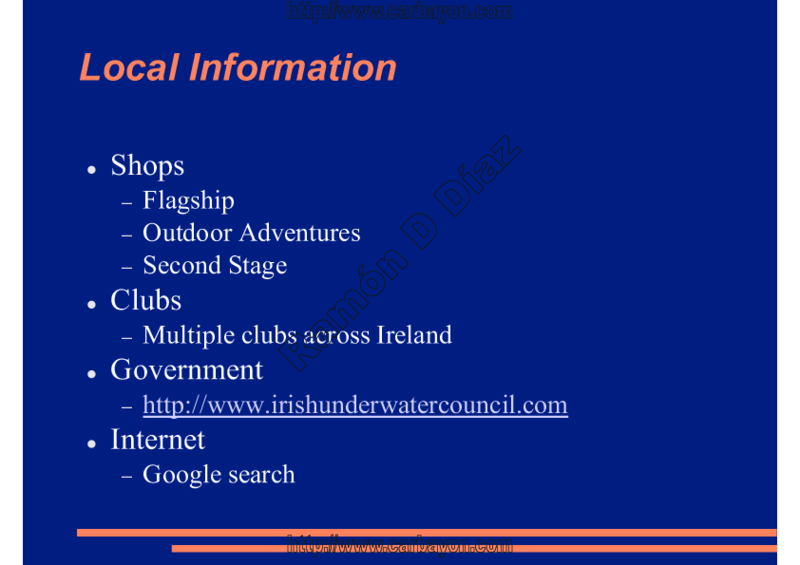 Even though I received good feedback from the interviewers on regards of my presentation skills, I was not chosen for the job as there was a more experienced candidate.